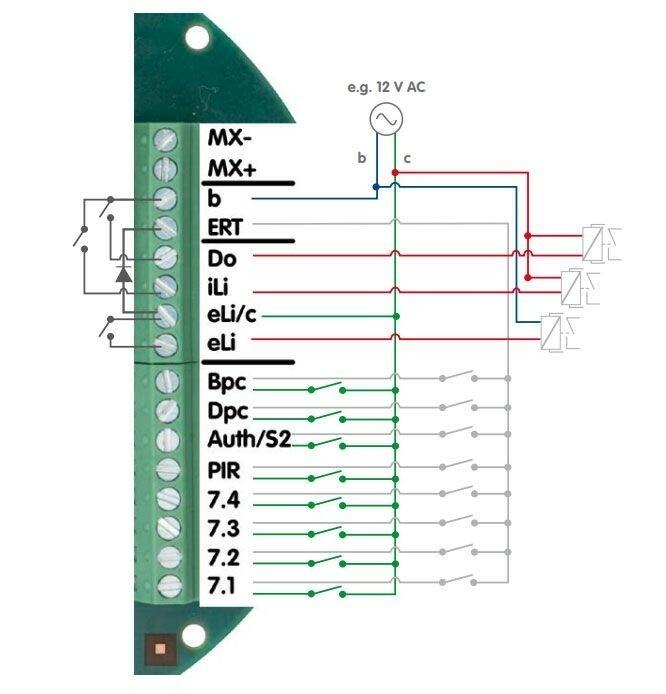 Suitable for: T2x, delivers extended connection options for the door station (e.g., doorbell buttons, light, garage door opener, etc.) 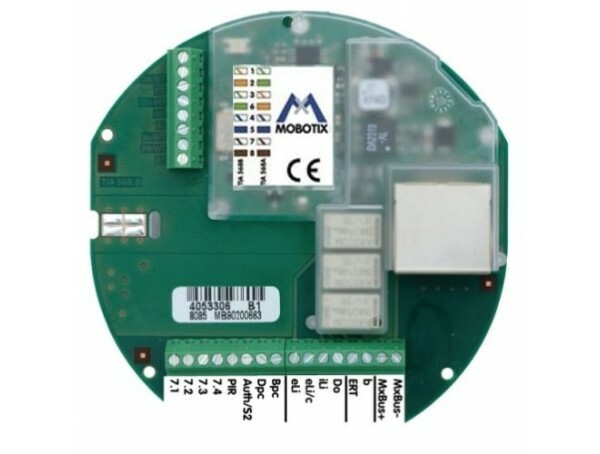 • Connect the IO Module to the camera module via MxBus, which connects it to the network. It has eight physical signal inputs that allow it to distinguish in AC operation between a pending full-wave and half-wave. This makes it possible to connect two switches to each signal input terminal so that 16 button inputs are made available. The inputs can be used for, e.g., bell buttons. 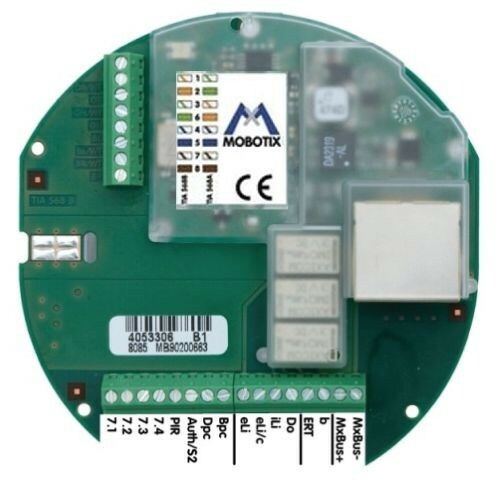 The outputs can be used for external devices such as a doorbell, or for outdoor lights or garage door openers (via a power relay).